Is your comic shop on social media yet? Social media platforms are a can’t-miss opportunity for store business promotion. 1 in 10 online purchases results from social media engagement. The rise of digital publishing pushes some fans to opt for digital downloads and online subscriptions. Is your physical store falling behind? 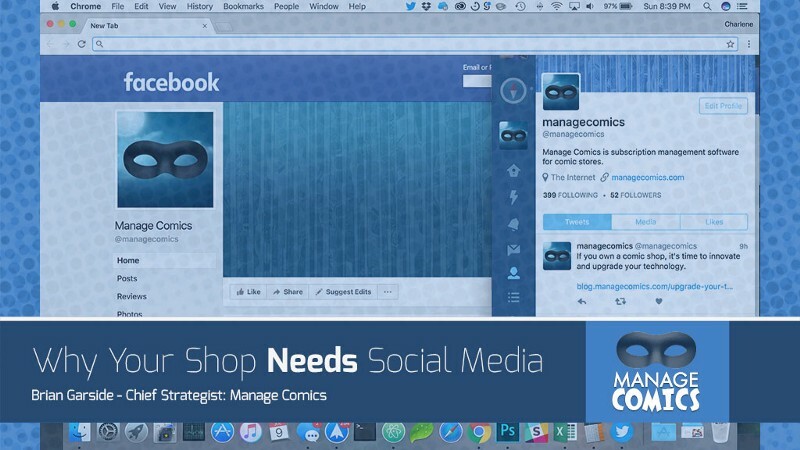 If your comic shop isn’t active on social media you’re missing out on vital business promotion opportunities. 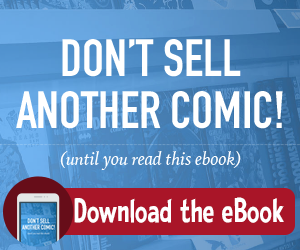 With troves of die-hard fans, not only does your comic book store stand to gain from the ability to market to your target audience, you can also engage with and learn from them. The reasons why you need to use social media to promote your comic book store do not stop there. Your social media presence is crucial to your business’ success today. Your customers want a unique and personalized experience. The internet gives them a lot of buying options. If they’re going to choose your store you need stand out. Determine your unique selling proposition and put it on display for your customers. Social media provides an excellent way to perform this kind of brand promotion across platforms. You’ll reach more people and can start conversations around what makes you unique. What is unique about your shop? What makes it stand out from your competitors? Location — are you “the only game in town”? Selection — do you carry something others don’t? Do you have an online subscription management tool to let your customers control their lists? Do you have a dedicated gaming area? A reading lounge? An on-site coffee shop like Black Canary Espresso bar in the Silver Snail Toronto? Maybe you have a bar like the Geek Easy at A Comic Shop in Orlando Florida? Does your store have an art gallery like Magic Pony in Toronto? Do you hold regular events like the Isotope Comics Lounge in San Francisco does? Identifying and promoting your unique features ensures you won’t fade into the background and customers will visit your store for a one of a kind experience. Customers are the core of your business. What customer need does your store fulfill? Once you have this answer, use social media as a marketing tool to convey this information to your following. The best way to do this is to create relevant conversations using thoughtful language and imagery. Not only can you watch the conversation between die-hard fans take place, you can contribute to the conversation. When you contribute in meaningful ways, your brand sticks out in a customer’s mind. A customer who likes your social media content could share the post, increasing your reach, or promote your store via word-of-mouth. People trust their friends’ and family’s opinions more than any other kind of review. Word-of-mouth advertising builds your customer base and your business’ reputation. At a bare minimum, your company needs to be on Google for Business. You will be able to update your store hours, store location, and more. Facebook is an excellent platform for sharing events like in-store signings or your plans for Free Comic Book Day. Facebook lets your customers connect with one another, and share your updates. Comics are a visual medium, and many artists are already online, being online and @mentioning specific artists’ who’s work is currently online is an easy way to get promotion for your shop. While it’s a bit of an echo chamber, being on Twitter is very simple, and you can quickly get information about your business out. With social media, you can gauge how many people your content reaches. You can also track the way your customers interact with posts and comments. You can use this information to adjust your business promotion strategy. In some cases, you can even ask your customers for feedback about your business or a product you carry. Take note of their reaction. What worked? What didn’t? Fine-tune your practices and business promotion strategy to better engage followers. You’ll turn passive visitors into active buyers. As you can see, social media can do wonders for your comic book store. If you want to keep up with online stores, Amazon, and the increasing market of digital downloads, you need to use social media to communicate what about your store is unique. Use social media to advertise events at your store and to create a community of loyal customers. Thinking about introducing a subscription service or a new policy? Ask you customers for feedback and put that feedback into action. Your attention to customer experience will pay off. Manage comics can help your physical store stay afloat in a digital environment. To learn more about our comics subscription software and how we have helped other comic shops grow in a shrinking market, visit us today.